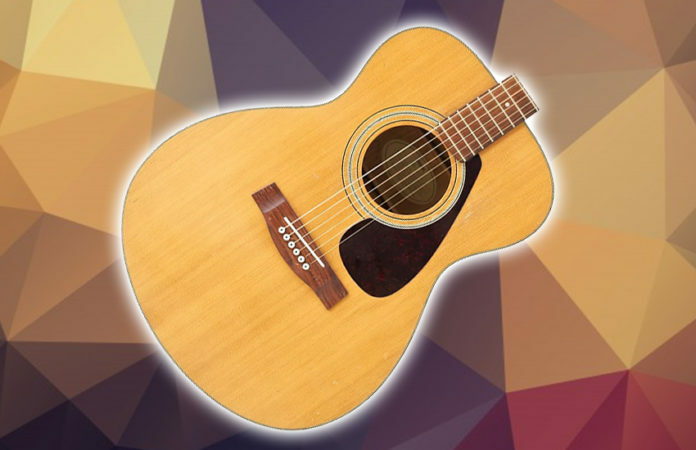 First introduced in 1966, the Yamaha FG series was designed to offer great acoustic guitars that do not cost a fortune. 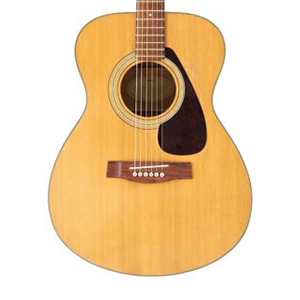 The Yamaha FG180 acoustic guitar was the first ever in the lineup and launched the careers of many artists. Over half a century later, the series still stands as one of the best classic lines of acoustic guitars with a focus on playability, tone, and build. The Yamaha FG-331 debuted in 1979 and is a product of years and years of best in class quality in its price range. If you are looking for a budget-friendly acoustic guitar with a solid performance that stood the test of time, you might just be looking at the right candidate. 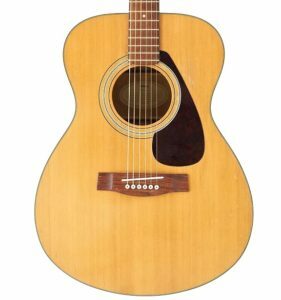 The Yamaha FG-331 is a grand concert acoustic guitar that bears a classic simple design, laminated tonewood, and a standard set of hardware. At first glance, you can immediately tell that it is a no-frills acoustic guitar. And it is. In this price range, it is all you can expect. The top is made from ply spruce, while the back and sides are made from ply mahogany. The neck is sturdy and is made from mahogany too with rosewood fretboard and bridge. Inside the body is a light bracing that contributes to the good bass, loud volume, and great punch of the guitar. Does the laminated tonewood all over it a snag? Of course, not. Sure, an all solid wood grand concert delivers supreme rich sound. But laminated wood is not all it is cracked up to be. Take it from the Yamaha FG-331, which is truly ear-opener. Unlike most acoustic guitars that are made from laminated wood, this guitar will let you still enjoy the sound when it ages. Although it looks like a generic grand concert, the Yamaha FG-331 has a lot of reserve power when it comes to sound. In fact, it sounds best using moderate force rather than a heavy strumming or picking. It sounds good with both fingerpicking and flatpicking; however, it sounds better with fingerpicking due to the ply mellows out. Although beginners would find the tone of this guitar to be just fine, it is pretty impressive actually. Give the Yamaha FG-331 to a pro guitarist, you will be surprised at how it is capable of producing complex tone colors. The tone is strong and well-balanced with a good punch. For a grand concert, the bass is stunningly warm and deep; the treble is clear, sweet, and ringing. Overall, this guitar feels like caught in between maple, rosewood, and mahogany bodies in terms of sound production, whatever that means. The Verdict: Should You Buy Yamaha FG-331? The Yamaha FG-331 grand concert has more volume and beefier tone than any other grand concert we have tried. It is such a great sounding acoustic guitar that you cannot fault it in its price range. This guitar may not have the best tonewood used compared to other guitars in this price range, it surely delivers the quality, tone, and playability that you are looking for in a grand concert. All in the all, we highly recommend the Yamaha FG-331.